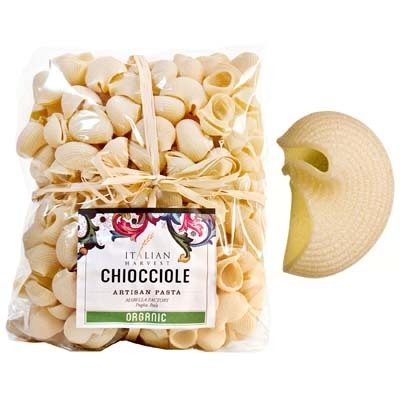 One of the most interesting pasta shapes out there, not to mention the cute name which means snail, this bag of Chiocciole Shells is from Marella. With a curvy tubular shape like the macaroni, this pasta shape was brought to Italy traders from the Middle East. In addition to that, all its ingredients are organic and its hollow parts are great for catching bits of sauces. And you can serve it with all kinds of pasta sauces, may it be thick or light. It is even great for all kinds of soups. Curious whether it will be great with your favorite pasta sauce? Get a bag now and find out for yourself!